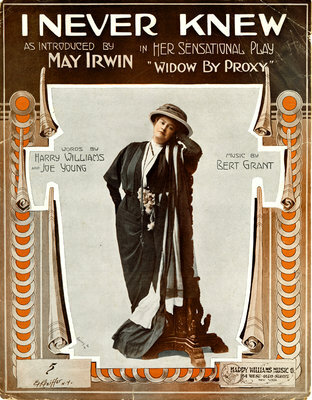 Sheet music for the song I Never Knew as performed and made popular by May Irwin. Music is part of the tradition of racist minstrel music. Harry Williams Music Company, Inc.